Thank you for helping me with my book launch by sharing this early review for Cusp of Night. I look forward to seeing your review tomorrow and discovering what you thought of the book! I have a mid-afternoon appointment that may keep me offline for a short time on release day, but I will definitely be checking in to read your post and respond to any comments. Thank you for your awesome support! Anita Dawes and Jaye Marie are helping me promote Cusp of Night by participating in my launch tour (thank you ladies!). 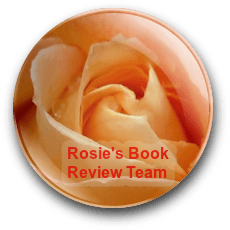 Today, they’re sharing a snippet of an early review from Dianne of Tome Tender Book Blog. Hop over and check it out if you get a chance. Tomorrow, they’ll be sharing their own review (I can’t wait to see what they thought of the book). These are lovely ladies who are super supportive of others. I highly recommend getting to know them and their blog! Wonderful! Not even released and great reviews already. Love Mae’s work. What a lovely review of Mae’s book, ladies. It certainly sounds like a fantastic read. I’ve been fortunate to garner a few early reviews of Cusp, and am on pins and needles waiting to see what tomorrow brings from Anita and Jaye. Thanks for visiting, Robbie! Our pleasure, Mae,,, Cusp of Night is a fabulous read! Sounds like you have another hit, Mae. I’ll be in line tomorrow. Thanks for hosting, ladies. Cusp of Night should be an enormous hit! It is a fabulous story, and the first in a series too! A good review is one that makes you want to read the book. This is a good review. Congratulations Mae! Reblogged this on Momentary Lapse Of Sanity.